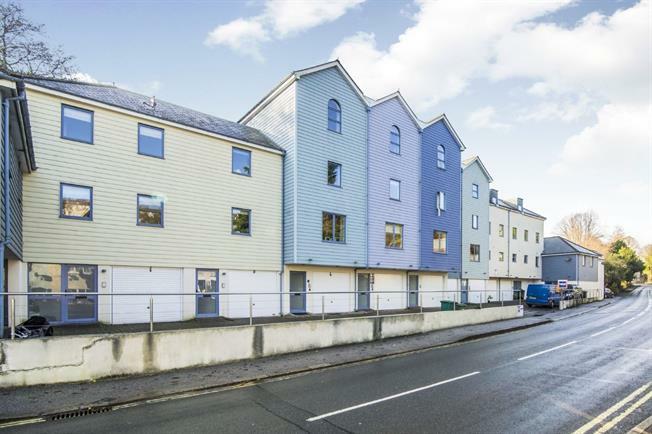 4 Bedroom Terraced House For Sale in St. Austell for Asking Price £230,000. Arranged over four floors this stylish home comprises entrance hall, garage and sunroom which opens onto the patio. A sleek, modern kitchen with integrated appliances, lounge and balcony enjoying views over the greenery. There are two double bedrooms and one single room on the second floor and master bedroom and en-suite on the third floor. Additionally there are high quality fixtures throughout such as centrally controlled lighting and integrated music speakers. Finished to high standard the property would make a beautiful main residence, holiday home or lucrative investment. Viewing is highly recommended to truly understand the accommodation and charm it offers.